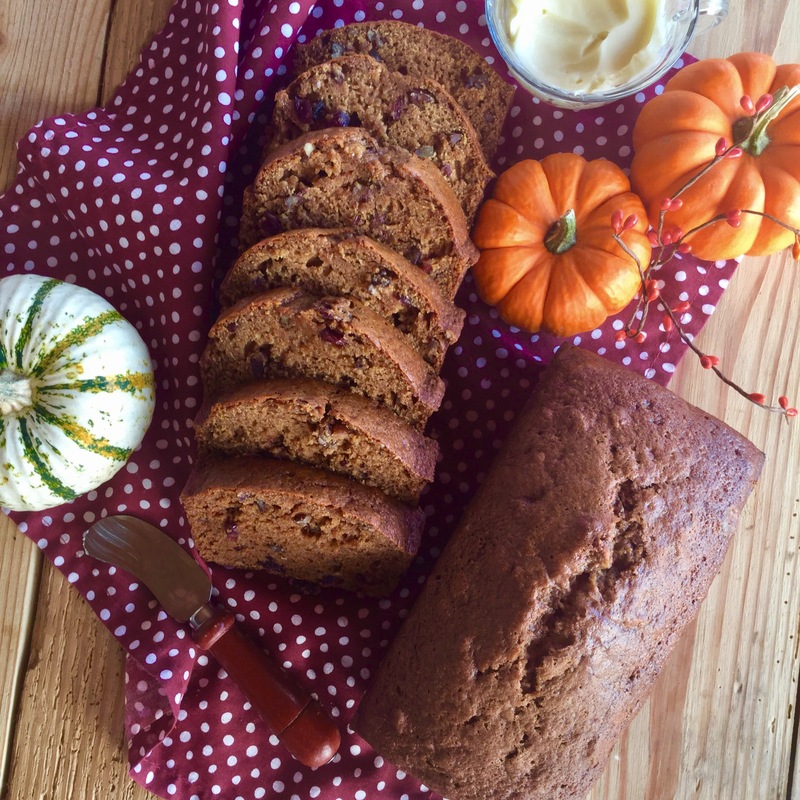 If you’re looking for a recipe to help use up that leftover pumpkin…I have one for you. This recipe is perfect for those times you have some canned pumpkin leftover, and you have no idea what to do with it. Plus, this is the easiest recipe….ever! 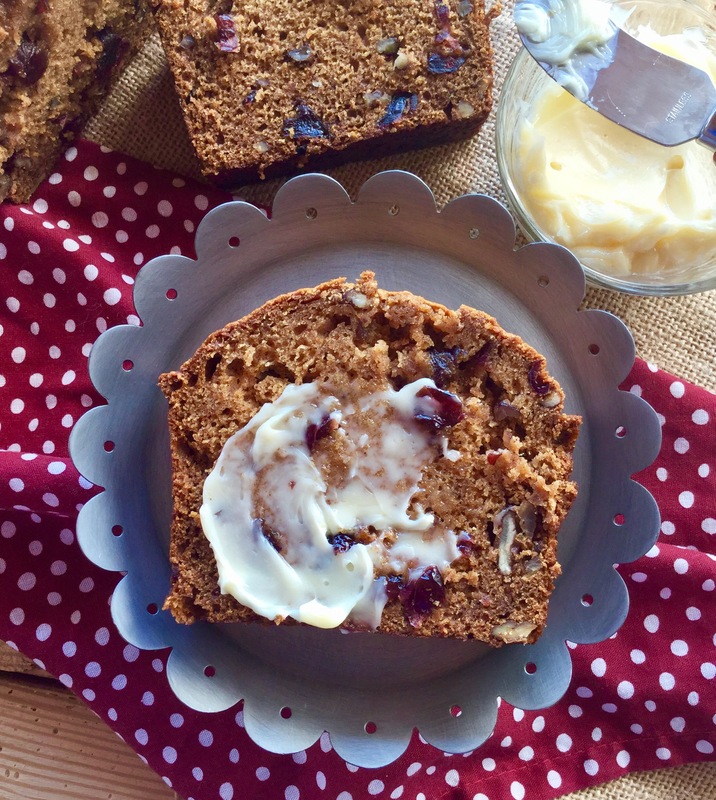 This batter yields two loaves of delicious fall-appropriate pumpkin bread, you can enjoy a loaf and give one to a friend. 1)This recipe calls for applesauce. If you don’t want to buy a jar of applesauce to take up room in the fridge, I suggest buying the applesauce cups. They keep in the pantry and are there for the occasional recipe. They also ﻿make nice snacks. 2)The pecans as always are optional. 3)I top my bread with honey butter… 6 Tablespoons of butter, softened & 1 Tablespoon honey combined. Preheat oven to 325 degrees F. Spray two 8×4 loaf pans with non-stick cooking spray. In a large mixing bowl whisk together the first seven ingredients (flour-ginger), then add all the wet ingredients (oil-water) and stir together using a spatula. Lastly stir in the dried cranberries and chopped pecans. Pour batter into prepared loaf pans. Bake in preheated oven for 1 hour and 25 minutes turning half way through bake time. Allow the loaves to cool on a wire rack before slicing. Enjoy !